Good morning, everyone. Welcome to the 110th meeting of the Standing Committee on Procedure and House Affairs. Today we continue our study on Bill C-76, an act to amend the Canada Elections Act and other acts and to make certain consequential amendments. We are pleased to be joined today by Taylor Gunn, president and chief election officer of CIVIX, and Duff Conacher, co-founder of Democracy Watch. For the committee's information, you have the list from the clerk of the total number of witnesses. The good news is that they've all been invited—all 300—and we've accommodated everyone who's interested. If there are any more who express an interest, we have slots this week and can fill them. We should be finished with witnesses this week. We can do some opening statements. Mr. Gunn, maybe you could start, and then we'll hear from Mr. Conacher. It's nice to see everybody again. Last time, it was around the electoral reform issue, and I want to put on the record that I sincerely appreciate all the effort and the time you put in even if it didn't really turn into anything. It was a great example of a parliamentary committee at work. It's a privilege to have been here a few times before. In case you don't recall who we are and what we do, I'll explain that we're a Canadian civic education charity that works to develop the habits and skills of citizenship within students under the voting age. Our primary piece of work is the student vote program, which is a parallel election for kids under the voting age. You may have been aware of that. We're running one in Ontario right now. We expect probably around 300,000 kids to go through that process by Thursday of this week. An interesting addition to our work is that we ran our first student vote outside of Canada in Colombia two weeks ago, with 31,000 kids participating. Hopefully, that will open us up to more countries and we can export our Canadian democratic values. We've also started a new program that's all about news literacy and “mis-, dis-, and mal-information”, which relates a bit to what's in this bill. That's something that I might bring up later. It's a privilege to be here. I can't say that I object to much—or maybe anything—in the proposed bill. I'm really comfortable giving more time to Duff, who might have some more specific points. There are some things I can comment on around the preregistration, and maybe a little bit around the foreign interference, with what we've learned over the last few months, and then on another couple of small points. I'm happy to give up my time to Duff or to end short so that you guys can have a break and plan for your next session. Okay, Mr. Conacher, you're on. Thank you to the committee for the opportunity to testify before you today. I am testifying here in my role as co-founder of Democracy Watch, which, if you are not aware, is a citizen advocacy group. We've been working since 1993 to make Canada the world's leading democracy, pushing for changes to require everyone in politics to be honest, ethical, open, and representative, and to prevent waste. A total of 190,000 people have signed up to send a letter or petition in one or another of our campaigns from across Canada. Today, my submission is based largely, as Mr. Gunn mentioned, on earlier submissions made to the Special Committee on Electoral Reform. Number one, of course, the vote-counting system doesn't count votes in a fair way, and usually produces false majority governments. It also doesn't allow voters to vote “none of the above”—a key option that voters should have, and already have in four provinces—and it doesn't fully fix election dates, as the U.K. has, to stop unfair snap election calls. Number two, it continues to allow the baiting of voters with false promises in ads. The Canada Elections Act prohibits inducing voters to vote for anyone by—and this is the actual wording—“any pretence or contrivance”. However, the commissioner of Canada elections refuses to apply that measure to a blatantly false promise or false statement made during an election. A clearly worded “honest promises” requirement, with significant penalties, is clearly needed. It's the number one hot-button issue for voters: even if they vote for the party that wins, they don't get what they voted for because of blatantly false promises. While clause 61 of the bill adds some specifics to the measures in sections 91 and 92 of the Canadian Elections Act concerning false statements about candidates, the measures actually significantly narrow the range of prohibited false statements. That is a move in the wrong direction. Dishonesty in elections should be broadly defined and discouraged. It's a fundamental voter rights issue. They have the right to an honest campaign so that they know what they're voting for honestly, and misleaders, as opposed to leaders, should be discouraged with significant penalties. Related to that, the bill does not do nearly enough to stop the new form of false claims, secret false online election ads, including by foreigners. Bill C-76 trusts social media companies to self-regulate, only holding them accountable if they “knowingly” allow a foreign ad, but not saying anything at all in terms of their knowingly or in any other way allowing a false domestic ad. Again, clause 61 narrows the definition of “false statements”, but it still would be illegal to make a false statement about a candidate. In terms of the “knowingly” standard, the social media companies will easily be able to come up with evidence that they didn't know an ad had been placed. It's not going to be enforceable. They'll get off every time, so that doesn't discourage them from allowing secret, false, online election ads by people in the country or foreigners. Media and social media companies should be required to report all details about every election-related ad to Elections Canada during the six months leading up to an election, so that Elections Canada can check whether the ad is false, whether it exceeds the third party spending limits, and whether it is paid for by a foreigner. All those three things are illegal, but if Elections Canada can't see those ads, which they can't because they're micro-targeted, how are they going to enforce those laws against false and foreign-sponsored ads, and ads that exceed the third party spending limits? Don't trust the social media companies to self-regulate in this area. Require them to report every ad to Elections Canada. During those six months, empower Elections Canada to order a clearly false or illegal ad because it's foreign or exceeds the spending limits to be deleted from a media and social media site and impose significant fines on the violators. In terms of what the bill also does not address, annual donations are still too high. Bill C-50 doesn't do anything about this. As a result, the parties all rely on a small pool of large donors who donate thousands of dollars or more. That facilitates funnelling as SNC-Lavalin was caught doing. It also facilitates lobbyists bundling donations to buy influence. That's all undemocratic and unfair. There are seven practices the bill does not address that should be switched to be overseen by Elections Canada or other watchdogs. One is unfair nomination races. Elections Canada should be running all of them. The reform act has not changed anything. All the parties have handed back to party leaders the power to approve election candidates, sometimes with someone in their party headquarters' office as a screen. Another is unfair leadership races. Elections Canada should be overseeing them. Another is questionable auditing. Elections Canada should be auditing parties, candidates, and third parties. Another is unfair election debates. Elections Canada or a commission should be running them with their rules. Hopefully a bill making that change will come soon, before the next election. Another is biased election polling station supervision. The ruling party and second party choose those people and can force the returning officer to appoint whom they want. Elections Canada should be appointing all the polling station returning officers. There is the questionable use of voter information. The bill does not extend the Personal Information Protection and Electronic Documents Act, PIPEDA, to the parties. The law should be extended to the parties with the Privacy Commissioner doing enforcement. Another is unfair government advertising. Hopefully there will be a bill coming on that as well with the Auditor General or Elections Canada empowered to stop any ads that are partisan in the six months leading up to an election, and a full prohibition on government ads during the three months before an election. There is the third party spending limits area. There's no way to stop Canadian businesses and citizen groups receiving foreign money from entities that frees up other money they have to use for third party election advocacy activities, unless you're going to prohibit foreign-owned businesses in Canada and foreign contributions to citizen groups completely. This bill does go quite far in requiring the separate bank account to be set up. I think the problem with it is it's discrimination against citizen groups that take donations versus unions and corporations that are also third parties. It's very easy for them to shift money into this bank account, but a third party is going to have to do special fundraising to get money into that account if it's a citizen group. It's going to make it much more difficult for citizen groups. They are allowed to donate into the account from their own funds that they may have gathered throughout the year, obviously not foreign funds. I think the overall effect is going to make it much more difficult for citizen groups to gather any funds compared to unions or corporations. The disclosure of the reports and the limits are all good as well, but you need a limit on government advertising as well to make it fair for everyone leading up to the pre-writ drop period and the election period. Overall, I don't see any reason to increase the third party limit during the election period. That's a bad idea. That's a move in an undemocratic direction because it would allow wealthier interests to spend more. The cost of online ads is much less than traditional advertising was when the limits were first set. Even though the new limit covers more expenses, including surveys and going door to door and things like that kind of outreach, I don't see a reason to increase the limit. I think it's a move in a bad direction. How was the limit chosen? How were all the limits chosen? Are they based on anything? Are they based on looking at what parties spent on ads in the pre-writ period in the 2015 election, before the 2011 election? It's the same with third parties. Is it based on anything that's been reported to Elections Canada? I know that the figures in 2004 limiting third parties were arbitrary, but now we have some track record and I think it should be examined. I'll just finish with this point. The limits as stated in the government's backgrounder are not the same as what's in the bill. I'm quite confused by huge discrepancies in the amounts. The pre-writ limit for party spending says $1.5 million in the backgrounder, but in the bill, it says $1.1 million. In the backgrounder, it says it's adjusted for 2019 figures based on inflation, which is 30% inflation which we don't have now. All the limits are the same. For third parties, there's a $300,000 gap between what it says in the bill and the backgrounder, and for a riding there's a $3,000 gap. Mr. Duff Conacher: The pre-writ period and the writ period. I'm not sure where those figures came from in the backgrounder. I would just make the overall point: how are these limits set? Why not look at what parties actually spent in the pre-writ period leading up to the 2011, 2015 elections. It's the same with the third parties and what they spent during the election. Set a limit based on that. I don't think any of the limits are very meaningful—any of them—because very few parties are going to spend that amount in July and August. People don't usually run big ad campaigns in July and August, especially for voters, because they're not paying attention until September after the writ is dropped. Finally, overall enforcement must be increased. The fines must be increased. The watchdogs must be made much more independent. The length of time for bringing complaints must be extended from 30 days after an election to one year. I welcome your questions about any of those points. Thank you again for the opportunity. Which watchdogs were you referring to? There's the Chief Electoral Officer. The ruling party can select that person now with just a majority vote in the House. No consultation is even required with opposition parties. As you may know, we have a court case right now challenging the Ethics Commissioner's appointment and the appointment of the Commissioner of Lobbying, based on consultation not being done, even with the opposition parties. If they're going to enforce a rule that says a false ad can't be run, then everyone has to view them as completely non-partisan. Right now, the ruling party cabinet chooses the Chief Electoral Officer. The director of public prosecutions is chosen by a committee that has a majority of ruling party members on it. There's a better way. There's an independent commission in Ontario. The way it appoints judges is the world-leading model, and it should be used for every single appointment of every government watchdog at the federal level. You need these people to be viewed as completely non-partisan, not tainted by even the hint of an appearance of bias. If they're going to stop false ads that are online and curtail people's free expression, you don't want anyone thinking they've done that to protect one party, help one party, or hurt another party. We'll go to questioning now. We'll start with Mr. Bittle. Mr. Gunn, can you comment on the register of future voters? It's a trend with election management bodies. The purpose is to be able to communicate with younger electors once they are 18. It seems like there's a couple of different methods for this. One, which they have in Ontario, is that the young people are supposed to opt in before they are added. Another version is where information is shared from wherever it can be collected with the election management body, where it's not an opt in. I wasn't sure with this bill.... It says it may be opt in. I'm not sure whether it's going to be opt in or not. The opt-in provision represents potentially a teachable moment in schools and in other ways, as long as it's properly funded and executed, but it is also challenging. I believe that Elections Ontario found it challenging to obtain the numbers they were looking forward to in building that preregistration list. Of course, the alternative is that the information is shared behind the scenes. Your name appears on a list where you have no education or understanding about the list, what its purpose is, and you lose the potential for that teachable moment. You mentioned—and I agree with you—that it won't entirely fix the problem of youth voter turnout, but where do we go from here? Is it a good step? What are your thoughts? We always thought that if done properly, it could create an opportunity to educate kids about what the voters list is as a small component of a wider civic education effort. I think it's great that it's been put in here. It's one of those things that beyond the bill, it comes down to the execution and delivery, and again, the challenge of whether or not it's opt in. With all of these things, I always advise that maybe it shouldn't be an election agency that's running these types of educational campaigns but organizations that are already active in schools and have the experience and knowledge on how to make something out of that. I think it's great that it's in here. I wouldn't rely on it to increase turnout, but it's a trend that's being seen across Canada. I don't think anyone should object to it. Based on your engagements with youth, what are the best tools to engage with them? They're probably the best tools you'd have for any adult, as well. As far as turnout in elections goes, in my opinion—and Duff, I'm pretty sure, would have a couple of additional points—there are so many different factors in the circle of attracting someone to participate. Obviously, I'd put civic education at the foundation of that. Then you have things such as whether the election is competitive. Is it a change election? You still have citizens who will feel that their vote doesn't count. That's based on the electoral system, and nothing is happening on that one. You have things such as how people receive their information in elections. You do have accessibility. This came from the national youth survey that Elections Canada has now done twice. There are motivation factors, accessibility factors. All those things come into play, and all of them have to be done at the same time. You can't rely just on civic education, for example. I still would suggest and advise to anyone that the most effective dollars spent on potentially grooming a young person into a citizen is civic education. Then, of course, it comes down to education that is not just out of a textbook, making sure it's experiential. I'd point out that especially when you get into things such as cyber-threats or foreign interference in our elections, you can do the top-down...or the advice that you have in the bill of how people detect these ads and this sort of thing, but if you're not doing the bottom-up at the same time, almost like citizen preparedness or resiliency, you won't get the effect you're looking for. Outside of this bill are things such as empowering organizations to do the things that Elections Canada either doesn't have the ambitions or aspirations to do, and being more aggressive in tackling these types of challenges. I know that's out of your hands, but someone should be concerned with it, because there isn't a mechanism right now for groups like ours, and maybe others, to be creative. —a means, thank you. Political parties are different actors from any others, and I'll give you one example. In terms of PIPEDA, if I call up an organization and ask what information they have on me, they are to provide that information. That's a good practice within PIPEDA. Political parties have supporters, and they don't like other political parties. What's to stop thousands of individuals from bombarding a political party or a political organization as a coordinated campaign to undermine a party? To shut it down or overwhelm it with requests. I think we have to start, if this transition is made, with a notice going out to anyone a party has information about, letting them know what they have and then asking for their consent to whatever the use the party wants to make of it, with a simplified form. That's how the transition would be made, and that whole bombardment wouldn't happen because people would receive a notice proactively from the parties about what had been gathered on them already. So you don't think political parties should receive the voter lists automatically unless there is consent from the individual. I don't have a problem with that particular part. You were just saying that the party would have to notify every voter, but there is another way of dealing with that kind of thing, where parties are shared that basic information. I'm referring to the other information that's gathered and what parties are doing with it, whether parties are renting their lists to raise money and things like that. There is some compromise position here, I think, to bring the parties—I know they're a different kind of entity—under some of those rules and not allow them to be self-enforcing, which essentially is what the bill does. Mr. Conacher, I'll start with you. When you were before this committee—I think it was about a year or so ago now—you stated that you'd like to see disclosure for lobby groups or third party groups in their spending between elections. I'm assuming that's still your position. Given that this is not addressed in Bill C-76, do you think that this legislation should be amended to include that kind of disclosure requirement so that it's out of the writ and the pre-writ periods? It addresses the pre-writ, which is a start, although I don't think July and August are going to be big spending periods for anybody. They'll save their money and spend it.... It depends, of course, exactly when the election is called, but I think you'll see all of that spending happen just after Labour Day or just leading up to it, if anyone is going to spend any of that pre-writ money. Going beyond the pre-writ period, yes, I think we should still have disclosure under the Lobbying Act of any spending on any campaign. It doesn't have to be right down to the dollar, but a range could be given for round figures, just to get some sense of how skewed things are in terms of the resources of different stakeholders working on any issue. You had also indicated the last time you were here that you felt all donations should be disclosed before people vote. You were talking about political parties in that case. I guess it would be candidates as well. Do you feel the same way about third party donations? Do you believe they should be disclosed as well before people vote? Yes. The interim report that has to be filed will cover the pre-writ period or whatever period of time during the election campaign itself in which a party starts spending and crosses the threshold of $10,000, so there will be a disclosure if anyone participates. Some people have said—Senator Frum, for example—that there won't be any disclosure until after the election. There will be with this interim report, and it could disclose quite a bit. This is done by leadership candidates in leadership races, the disclosure monthly and in the last week as well leading up to the leadership vote. I don't see why it cannot be applied to everybody. Voters have a right to know who is bankrolling every interest, candidate, party, and third party trying to affect the election. Correct me if I'm wrong, but this wouldn't require disclosure of the contributions that would have been received, let's say, by a third party prior to that pre-writ period. Especially when everyone knows that June 30 is the start of that period, do you not think that without disclosure before that, people would just drop the money in on June 28 or June 29? What are your thoughts on that? Do you mean the disclosure of huge donations? The thing is, as a citizen group, you have to set up a separate bank account. You can't use foreign money at all. The money would have to go into that separate bank account. Then, if it is used, the contributors have to be disclosed, even if the money came in before June 30. I'm quite sure citizen groups that want to go through this process will be setting up a bank account before June 30. They'll likely be appealing throughout the whole year leading up to an election year. If a snap election is called, I don't know where they're going to get funding from. They can transfer from their bank account themselves, and I'm sure they'll send out an appeal right away to get some funds in. It all will be limited, however, based on how much money they have in an account that's not foreign money, that is not dedicated to other programs, and that can be shifted into an account specifically for the partisan activities. The last time you were here you also mentioned B.C. and some of the changes they made in terms of third parties and their reporting and spending. I wonder if you could give us an update on that. Obviously, there has been some time to take a look at the campaign that occurred there. I'm wondering what your thoughts are on how those changes worked in practice and whether you think there's anything we can learn from their experience. Do you mean the third party in B.C.? That's correct. You mentioned it the last time you were here. I think Bill C-76 goes further than B.C. because of this special bank account you have to set up. I haven't examined that in detail. I'm sorry. You haven't been able to do that. Okay. A number of people have raised this issue of collusion, or perhaps co-operation if we want to call it that, among a number of third parties. That might be seen as a way for an organization or individual to work with a party, for that matter, to get around spending limits. What are your thoughts on that? Do we need to be doing something more about that? Do you think that's a problem we need to deal with? I think the interim report that's required will help, because not only will the third party have to register but you'll get some indication of where contributions are coming from. Overall, I think Elections Canada should be empowered to audit and be proactively auditing these things as they go. Therefore, you need to be doing real-time auditing, checking, verifying, and going in with the power to say, “I want to see all of your emails from the last log”, and things like that, to ensure that those kinds of things aren't happening. After the fact, you can penalize people to discourage them, but what they win is a lot. They win power. There are lots of people out there, I think, who would be willing to be the sacrificial lamb who goes to jail for a couple of years to have their party win power. Empower Elections Canada much more, both on the secret, fake, foreign, and false online election ads and on everything else, to be in there having full disclosure so they can stop anything that is unfair and undemocratic. Now we'll go to Mr. Cullen. I'm just reading through some of our background documents on this. Has the CEO not asked for the repealing? I'm talking about false or misleading statements, particularly about the personal character of the candidates. Has the CEO not recommended repealing this section? They thought his feeling at the time was that defamation and libel can be dealt with better at court than it could be by Elections Canada. Yes. I don't have the definition right in front of me...that you've committed a crime and something about your professional qualifications.... It's been narrowed to make it more enforceable and also to say that you have withdrawn as a candidate, obviously. I don't think it should be more narrow. Again, libel court doesn't help you very much a year later if it's damaged the election result, so I think the definition should be broad. I think it should include blatantly false promises, which you have to catch after the fact. However, for blatantly false statements, Elections Canada, or a commissioner under it, should be there. Let's run that scenario under your ideal, if Bill C-76 dealt with false statements and false promises. Let's just walk through one. The last time you both appeared we were talking about electoral reform. We were talking about a specific promise that 2015 would be the last election under first past the post. In your ideal scenario, what would happen next if the law prevented parties from making false statements? Democracy Watch's proposal for a long time in its honesty in politics campaign has been that, first of all, we thought the provision in there against a pretense or contrivance was enough. We filed the complaint about the electoral promise with the commissioner. The commissioner said that there have been no cases on this, ever, and pointed to something obscure that happened in the British Parliament 140 years ago, saying that pretense and contrivance do not mean a false promise. Do you think the law is there? It is there. The commissioner is not enforcing it. If the commissioner were to enforce it, what would the commissioner then do? Break a promise, pay a fine. Yes, the leader should pay a fine and the party should also pay a fine. The leader would personally pay a fine. So Justin Trudeau would have to pay a year's worth of salary and the party would pay a fine. The party would have also paid for having a misleader. It has to be stopped. Voters right now are playing poker when they go to vote. They don't know who's bluffing. Their money is on the table. It's a fundamental voter rights issue. It has to be stopped. We've seen the damage in the U.S. and we've seen the damage here. It has to be stopped, and the only way to stop it is a serious penalty after the fact. You're not going to be able to reverse an election result based on a false promise. You just can't prove it. It has been tried in B.C. and in Ontario. There is this distinction between third parties raising money and advocating for candidates or for issues versus what parties can raise money for to advocate for issues or their candidates. Why should there be any distinction? If Canadians are sitting there and want to donate to one of the political parties to voice their political expression, or want to donate to a business association or a non-profit environmental group, why should the government care how they choose to voice their democratic rights through their donation in this case? Are you saying the government cares in terms of the limits? Yes, in terms of various limits and various permissibility. It gives advantage in terms of our tax code. It gives advantage in terms of spending limits to political parties over charities, for example. Yes. That is why the rules are the way they are. Yes, but is it fair? Let's deal with limits, because that's what Bill C-76 deals with. Yes, the limits should all be looked at. You argued for lowering those limits on third parties. Yes, and also the limits for parties. I see. I didn't know you wanted lower limits on both. Yes. You don't have to limit it if a political finance system is democratic. The donation limit should be $100, or $200 at most. That's the amount that an average voter can afford. As in Quebec, the per-vote funding should be returned, because it was the most democratic part of the political finance system. It was proportional, based on your actual voter support. The current system is based on your support by wealthy interests. That was for financing. Do that with a $100 donation limit. You don't have to worry about the parties being able to spend more, because they won't have the money. Let's talk about social media for a second. As it is right now, you call it self-regulation. If some foreign entity or someone breaking one of the laws in Bill C-76 buys $500,000 of Facebook ads, which would be a lot, to advocate for a political party or for an issue, unless Facebook reports that, unless the third party, the foreign entity, reports it, how would we know it happened? A voter might see it who is not intended to see it in terms of the micro-targeting, not be happy with it, and report it to Elections Canada. There are lots of things in the election law already. You have to identify yourself on the ad. What is the role of Facebook in that? Right now, under Bill C-76, what responsibility do they have? It's only if it's foreign that they can't knowingly take it. If it's domestic, they don't even have to report it. It's trusting them entirely and their incentive is to make the money, not to report the ad that will be stopped so that they don't get the money. Someone has talked about having a cache of all the political ads, as we do for the print media, so that all political ads are captured by Elections Canada. If there's a political ad, there's something about having the same thing. Any political ad that Twitter, Facebook, or Instagram take, they'd have to put into a cache and report who paid for it and when it went out. Yes. Our recommendation is that this would occur during the six months leading up to the election. That's to enforce the laws that are there against false statements, spending above the limit, the foreign spending that's in this bill, and spending as an unregistered party or putting an ad out there that does not have you identified as a third party. In the six months before, Elections Canada should be watching. I just want to say, Mr. Gunn, you do great work. All you guys do. You should be supported more. Now we'll go to Ms. Tassi. Thank you, Mr. Gunn and Mr. Conacher, for being here today. I'll start with Mr. Conacher. I know that your passion is democracy and ensuring that people have an opportunity to participate in the democratic process. Can you speak about the way you believe Bill C-76 will contribute to voter participation? What are the strengths in Bill C-76 that you see? Well, there are some measures for accessibility to the polls. Lowering the voter ID barrier is fine, but I didn't think it was a huge issue. You're speaking about the voter information cards? Yes, given that 29 pieces of ID could be used before, I think anyone who wanted to vote would have been able to satisfy the requirements. But it's fine to lower it, and it's fine to lower it for expats. Even saying that Elections Canada can only inform people about how to vote, when that was done, voter turnout went up by the highest amount in the last election, from election to election, since Confederation. A lot of the issues about the unfair elections act were unfair because the act didn't address the 10 things I listed, which this act does not address, either. It's not modernizing elections. It's still allowing a lot of old-fashioned, unfair, and undemocratic practices. Would you agree that Bill C-76 will result in more voter participation, that the provisions are in there to increase voter participation with things like accessibility, voter information cards, and the like? Would you agree with that? Yes, but I wouldn't say that it will definitely increase participation. I wouldn't even make a prediction about what's going to happen on Thursday in Ontario, let alone what's going to happen a year and a half from now at the federal level, but it lowers barriers, for sure. Mr. Gunn, considering Mr. Conacher's statement about the voter information cards, I know that youth really struggle with identification, particularly youth who are at school and don't have a driver's licence. What do you think of the voter information card? Do you believe that for youth it's an important piece of identification for them to be able to use? Yes. I've never had a problem with the voter information cards being used to vote at the poll. I think it's partly because I don't know if there is strong evidence of its being abused. It was brought up in the Fair Elections Act debate, but I don't know if those were actually credible stories about the cards being misused. The trend among election management bodies is to make it as easy as possible to vote. They don't want to have any accessibility barriers. For students in particular, though, I've heard evidence, and I have three post-secondary institutions in my riding, and the voter information card was a huge deal for those post-secondary institutions. I'm wondering if that's your experience and if you see the importance of this as a vehicle in encouraging students to vote. Well, if you're speaking specifically about a kid at a university who maybe hasn't changed his address, he wouldn't get the voter information card anyway. To me, the biggest barrier to someone's turning out is not the accessibility factor, but the motivation. If kids at university want to participate, they'll find a way to participate, especially with some of the recoil from the Fair Elections Act. So I don't think it's the biggest issue in the world. Would you agree that it is an important issue for students because it allows them greater ability to vote? It's one less barrier that they have to face. When we're doing those other things, like education campaigns and putting polling stations at universities and colleges, this is one more thing that would help to encourage them to vote. It could be, if they have the right addresses. The information we are getting from witnesses is that there is recognition, not only among youth and students but particularly among seniors as well as indigenous people, that the voter information card has been very valuable. That's the evidence that we've heard, and that's my experience in serving as an MP. Going back now, Mr. Conacher, to this notion of money and limits, I want to get back to this premise. I remember that in your previous testimony you spoke about it as well. You suggest a $100 limit for donors, and you suggest that limit because you feel that a limit has to be placed, so you deem $100 as affordable to most people. Is that the idea? Yes. It's based on the principle of one person, one vote. Why should anyone be allowed to use money, just because they have it, as a means to have greater influence? If you look at the stats, all the parties rely for a significant percentage of their funding annually and during an election, 40% of it, usually from a small pool of about 5% of donors. That's fundamentally undemocratic. Loans should be limited as well. To be able to go to a financial institution that is federally regulated and get a huge loan to pay for your election, and then win power based on that loan, they've done you a huge favour. That causes a conflict of interest. What about the person who can't afford $100? That's where the per-vote funding should be restored, and it should only be a base. It should not be as high as it was, because some parties were receiving 60%, 70%, 80% of their funds through the per-vote funding. There should still be an incentive for parties to reach out to voters, not just at election time. You can go into an election based on a bunch of false promises, get those votes, and then get their money with per-vote funding right through the next election. It should just provide base funding. It should be no more than a dollar. That's where you would get supplementary money from voters across the country. I'm just concerned about the person who can't afford the $100. Sure. You could go lower. Yes, but much less compromised than now. Quebec has done it. It's been proven to work, and it makes it much fairer than it is now. All the parties rely on wealthy donors. Those people I'm sure have more influence. The current donation limit facilitates funnelling, which SNC-Lavalin did. It also facilitates bundling, lobbyists holding big fundraisers in their homes off the record, then saying they just delivered 100 people who donated the max each, and those people I'm sure also have enormous influence on all the parties. We just don't know who they are. The last thing I'd like to mention, and you don't have time to answer it now because I'm out of time, but I would be interested in any research you've done specifically with members of Parliament with respect to the influence that money has on them. It's an area of interest for me. I studied ethics at the doctoral level. Thank you. I'll just make one small response to that. Yes, I understand that, but I'm looking for specifics because I think as members of Parliament, you come in with a knowledge of ensuring that you are not influenced by that, and I don't think it's impossible. If you applied the Access to Information Act to your offices, then I could request your communication logs and see whether you were calling back your big donors and fundraisers more often and more quickly than you are the people who didn't donate and didn't vote for you. The Access to Information Act does not apply to your offices, so the study can't be done. We'll go to Mr. Nater now. Thank you to both our witnesses for joining us today. Mr. Conacher, I know you were before the committee to talk about Bill C-50, but I don't recall your joining us to talk about the leadership commission debate, the organizing commission, but I know you mentioned it in your opening comments. We did table a report back in March. During our process of deliberating on that matter, we were informed by Andy Fillmore that the government simply wouldn't have time to introduce legislation to create such a commission, so rather they will likely do that through a grants and contributions scheme. We have yet to see anything come of that, but I would be interested in your thoughts on the matter. Would a grants and contributions model be supported by Democracy Watch, or would you rather see something with actual legislative backbone to create such an institution? You're saying the grants and contributions to third party groups? To some third party group to organize a commission, yes. I think it's better to put it under a centralized commission with all sorts of fairness rules on who gets to participate, based on things like percentage of votes received in the last election, whether you have an MP in the House. Take away all that discretion. Having third party groups run things, some would say would balance it. You'll have different groups running it. Some will have a certain slant and run it that way because they have an interest, and others will balance it by having a different slant. I think it's better to put it into a non-partisan commission. I know Elections Canada itself doesn't want it, but it can be a commissioner under Elections Canada, just like the enforcement is now, and have all sorts of fairness rules. The broadcasters are using the public's airwaves. Require them to air it on the public's airwaves. They already gouge us enough and use the airwaves as they want. The airwaves are a public resource. They're licensed to do it. An election is important. The debates should be running on all the broadcast outlets whether they want to run them or not. That should be what's on during prime time that evening. I think that's the better way to go than grants and contributions. You mentioned in your opening comments the term “modernization” within the title of the bill. Certainly technology is changing. Technology changes fast. There are both positive and negative consequences of those changes in technology. You certainly hit on one of the points in terms of real-time disclosure. We already have it fairly quickly in terms of leadership races and things like that. Then you also hit on some of the more...I hate to use the word negative, but it has negative consequences in terms of social media advertising. There are both sides of it—the benefits and the challenges of technology's quick changes. I know you've talked already about the self-policing aspect of Facebook. I want us to go a step further. I want you to elaborate a little bit more on that foreign influence on Facebook, and I should say on other social media platforms as well—we shouldn't constrain it to just Facebook, but certainly that's the one in the news—and how we might see a legitimate enforcement regime to really crack down on that foreign influence. I know Mr. Cullen mentioned that about half a million dollars is a significant Facebook ad buy because the ads are so much cheaper. What would you envision as an enforcement scheme to effectively deal with foreign powers using domestic platforms? I think it should be applied to media and social media. You could run a radio ad in a small market and not identify yourself as a third party or be registered, and Elections Canada might not find out about it. You could do that in a community newspaper possibly and Elections Canada might not see it. They would probably see TV ads. Just require all media companies and all social media companies to report every election-related ad to Elections Canada for six months leading up to an election. Give them the power to stop false ads, and stop an ad that doesn't identify the third party. They have to know who paid for it. They have to know where it was targeted as well, all the details. Then they'll be able to also enforce the spending limits that would apply in the pre-writ period. Otherwise they won't know about the ads. The rules will be there. Just don't leave it to the social media companies especially to self-regulate, because their incentive is to make money, not to stop an ad because someone may not like it. One of the things I didn't notice, which I wonder if you're concerned with at all, is that in terms of making the electoral process a more secure aspect of the bill, there was no mention of the tabulators or machines that election agencies are tending to attempt to simplify with regard to what they say is the challenge of getting people to work on polling day. Who builds those machines, where they come from and how they're used are, to me, very important parts of a secure electoral process. I'm just wondering if any other bill has been looking at that. Are you leaving that within the management of Elections Canada? That's a good question. I think my time is probably up. Personally in the past year and a half, I voted using a variety of methods. Provincially we use those tabulators. Provincially for the leadership race, we voted online. In last year's leadership race, we used a tabulator as well. There are a variety of options right now. I'd be curious, Mr. Gunn. Do you use any different types of voting methods for student votes or is it an x on a piece of paper right now? No, people wanted us to make the kids vote online because they thought it would make it easier and more interesting. We always argued against it. Now I think that voting online has been proven to be a silly idea in terms of safety. That is a strong personal opinion of mine. I just wonder about these machines, having recently had discussions with different people and new parts of government that we're not used to dealing with. Some people truly believe that everything can be hacked. I wonder whether the right motivation is solving that problem to make it easier to use machines or we should be investing in finding ways to make sure there are actually more people to work on election day. I do believe that everything can be hacked. I just wonder if that's a concern of the committee. Although you're saying that maybe you're making the electoral process more secure with the bill, you may be missing a part that you should be looking at. I would say that was briefly discussed in the electoral reform committee, but it wasn't directly related to the study. Sorry, Mr. Chair. I know I went over. Mr. Graham, you have two minutes. I know you can get seven minutes into two. This is for both Mr. Gunn and Mr. Conacher. Would you consider yourselves a third party in elections? Would you guys consider yourselves a third party in elections? We're a third party, yes. We don't usually run ads, though. We release a report card on the parties' platforms through various news releases, and just rely on media coverage. We're non-partisan. We're not considered a third party going after a political outcome. We have received funds from foreign accounts, so I worry if we could ever get caught up, but I think our ability to not get caught up in that is that we're non-partisan. Mr. Conacher, on your website you say that 99.9% of your donations are under $150. You said that the limit should be $100 for us and that you're concerned about large donors. It's a fair criticism, but what's the 0.1% and where do your donors come from? What is the 0.1% that's over $150, and where do your donors generally come from? A few people donate more than that. One person has made a large donation in the past few years of $25,000. That's it. Most of them are small donors. We wouldn't even have to disclose them under the third party rules. You could go lower than $200 for the reporting. I don't think you have to because those donations are not huge and influential and don't need to be identified. I also mentioned that Elections Canada should be doing audits of third parties, and should not be allowing people to choose their own auditors. This is also a way of combatting non-disclosure of donations of over $200 that would violate the disclosure rules. Give Elections Canada that audit power, and I think you can keep the donation disclosure limit at $200 and above. I have one final question before I cede my time. With respect to the $25,000 donation, do you find that this donor has any different an influence on your organization than the other donors? They would if they ever contacted me, but they don't. I'm acknowledging that these gifts.... Yes, sure. I acknowledged this last time when I was here on Bill C-50. That's why they should be restricted. When you talk about restricting third party citizen groups with respect to how high a donation they could have as the Public Policy Forum recommended in its recent report, you then also have to look at foreign-owned corporations and their ability to do an internal transfer of money to support what they do as a third party. It's an area that should be looked at, but the place to start is with disclosure of how much is being spent by various interest groups in between elections on everything. You're going to have it for elections, although after the fact; it should be before the fact. Then we can start talking about whether we should limit donations to citizen groups for certain purposes. Just out of curiosity, have you ever taken donations from outside of Canada? You mentioned right at the beginning that four provinces have the option to choose “none of the above”. Roughly how many people choose that? Give me just a ballpark figure. It was 0.5% in the last election in Ontario. None of the election agencies inform people that they have this right. We're about to take Elections Ontario to court for failing to do so. It's not on the ballot? It's not on the ballot. You decline or refuse your ballot. You're handed your ballot, and then you hand it back. More people would likely do it if the election agencies actually advertised that you have the right to do this. Elections Ontario is once again, for the third election in a row, refusing to do this, so that's why we're about to take it to court. It should say “none of the above” on the ballot, and then there should be a space just a couple of lines below where you could write a reason as to why you voted “none of the above”. That would be reported back to the parties in categories: environmental platforms weren't strong enough, someone didn't like the leader, or whatever it is. It would be a great feedback loop that would increase voter turnout and give parties information on why people are not turning out to vote now. In terms of overall increase in voter turnout, I work with a charity called Democracy Education Network, and we also do voter turnout initiatives. We have two going on in Ontario, and we did them in the last election. One is VoteParty.ca. It's all aimed at voters because the best way to increase voter turnout is to get voters reaching out to non-voters. We have VoteParty.ca so that you can make a vote date with a non-voter and take them to vote with you. We also have VotePromise.ca so that a person can make the vote promise to help a non-voter vote. I'll just pick up on some earlier questions very briefly. All of the messages should be aimed at telling voters to reach out to non-voters. That's how you'll increase voter turnout. Trying to reach non-voters with all the ads.... They're not paying attention, and they're not engaged. That's why they're non-voters. You don't reach them. If “none of the above” wins, what should happen? You can't have it on the ballot if you don't know what's going to happen if it wins. Yes, well, I'm just saying, show me a process that's even moving close to that and we can talk more about what to do, but it's only happened once, and that was in the Nevada election for governor. Their rule is that the election still stands. Obviously it's a hit to the legitimacy of the person who won, and they had to check themselves, because they knew how many voters out there didn't like them. Thanks to you both for being here. It's been very interesting and helpful. It's good to see you back again. We'll suspend and bring the next witness. Good morning. Welcome back to the 110th meeting of the Standing Committee on Procedure and House Affairs. For our second hour today, we are pleased to welcome Henry Milner, associate fellow, department of political science, Université de Montréal. Professor Milner, thanks for coming. You can go ahead with your opening statement. I was under the misapprehension that I was going to be one of five, but it turned out that the five are the entire morning session, rather than just this hour. That is okay with me, but it means that I haven't prepared an exhaustive critique or analysis of Bill C-76. I'm just going to talk about the things that are of particular interest to me and where I think I can make a contribution. The first thing is you will see in my presentation that I've done this before. It's nice to come to such a situation and be basically positive, rather than be here to criticize and be negative, which is the more normal situation for people like me. Much of my efforts have been around electoral reform. That experience was slightly less positive, if I may say, than this one will turn out to be, I think. I think that I was in front of the same committee—although I think it was across the street from Parliament—being critical of the Fair Elections Act for various problems with it that seemed to have been rectified in Bill C-33, which I was happy to see presented way back when. I had assumed that this issue was now going to be resolved, but it turns out it's only now that the process continues. It has been widened, as I don't have to tell you, with a number of other areas. From my point of view, the crucial aspect is access to make it easier for people to inform themselves. That's my specialization, political knowledge. I've published a great deal about that, including the political knowledge of young people, by comparing different countries, including Canada, and physical access to the voting booth in terms of some of the restrictions that were brought into the Fair Elections Act that have been removed in Bill C-76. In my own work, my particular concern has been on the political knowledge aspect, so I was very concerned with the Fair Elections Act's efforts to reduce the ability of Elections Canada to provide information, especially to young people, but not only to young people, so they would be more able to participate in an election at the right time. I think that those aspects of Bill C-33 have found their way into Bill C-76, in terms of the role of Elections Canada, in terms of allowing registration before the age, in fact, encouraging young people to register before the age of 18, as well as other aspects, which are not just for young people, but for people with handicaps and so on. I'm very happy to see that. In terms of what I would like to see added, there's only one aspect that seems to me to be missing. Once one is really looking at the entire electoral process—and I know there was some discussion of it in the consultation process that took place—perhaps regulate the question of leaders debates during the election period. Set up a process that would be standardized, so that people could expect it. I know that's a complicated issue and I certainly don't want to delay the implementation process, but I do think it's missing from a law that tries to be quite comprehensive about the way we run election campaigns. My other problem wasn't part of the Fair Elections Act, but with the way the last election was run. It was that it was so long. I don't have to remind you that it lasted more than 11 weeks, I think. That was tied to a change—a change which I had something to do with—namely, fixed election dates. I testified before that, especially in the Senate committee, that was responsible for that issue. I have talked about that in other places, including the House of Lords in London. When fixed election dates were adopted—and the 2015 election took place under fixed election dates—this silly idea of now doubling the time for the campaign was combined with it, which of course made us look bad, those of us who favoured fixed election dates. People were saying now it's a free-for-all, that it lasts forever, and all kinds of money is being spent. I'm glad to see that we're going back to a seven-week campaign like in the Fair Elections Act. That's the one additional factor that I think is very important, and there are some other specific procedures around this that I'm in favour of. I don't have anything particular to say about them. My real concern is that this happen. We have an election coming up in a year and a half and I'm concerned that the necessary aspects of this law won't be implemented early enough so that they can actually work appropriately. I'm torn between wanting to improve Bill C-76 in any possible way and wanting it to move quickly. Having it move quickly is, I think, in many ways more important, especially the information aspect and so on. We would like to see Elections Canada again able to implement its various information programs. I have to tell you—and I don't know how many of you are aware of this—that there's a very absurd thing taking place next week in Toronto. I'm not sure how many of you are aware. Probably none of you are aware, but a citizens' group tied to the Canadian Federation of Students.... I think I have it here if you'll just give me a minute. The Council of Canadians, the Canadian Federation of Students, and some individuals hired a law firm to contest the Fair Elections Act. I was one of those who wrote affidavits for this contestation, which is only now coming before the Ontario Supreme Court. All of us—there are several of us, though not as many as you'll be hearing from—those of us who opposed the Fair Elections Act, are required now to be cross-examined by government lawyers to defend our criticism of the Fair Elections Act, which, of course, will no longer exist, hopefully, very soon. I guess the business of Parliament moves slowly. I found it quite strange, but when I was speaking to the law firm that's running all of this, I asked them why they wouldn't just drop it. They said they weren't sure that the new legislation replacing the Fair Elections Act would be implemented in time, so they had to go ahead. This will all be taking place in Toronto next week. Finally, I want to stress that I am anxious to see this move ahead, so that it will all be in place in time for the next election. I have to say that one of the reasons I'm a little bit cynical about how this body moves on it with what seems to be happening or should be happening is my experience with the electoral reform. I was one of a great many political science and other experts in this area who came before this body. We were a very large majority of experts who testified in favour of electoral reform, and it seemed that our voices were going to be heard as part of the process, and then, as I don't need to tell you, we know how that came out. I don't want to be too cynical but I do want to stress the importance of moving forward with this so that this bill will be in place in time to be implemented correctly for the next election. Thank you very much for being here, and for those comments. Now we'll go to some questions. We'll start with Mr. Simms. Mr. Milner, it's nice to see you. I'm sorry. It should be Dr. Milner. Is that correct? That's Dr. Milner to you, sir. That's right. Yes, it is. It is now Dr. Milner to me. I want to thank you for being here today. Thank you for bringing us your insight and experience. That's what I want to ask about first: your experience. I see here in your bio reference to universities in Finland, France, Australia, and New Zealand. I'm familiar with Australia and New Zealand only because they have the Westminster system like ours. For the other two examples, I've visited those countries, but I can't say that I'm an expert on either of the two. What are the practices in these countries that interest you and that you think Canada should adopt or has adopted, or that in your international travels you see as a good practice that you can present to us here? Let me say to the specific aspects of Bill C-76 that I think we're doing what we can. We're not going to change our entire institutional system to be like theirs, but within our institution, I think we are applying it appropriately. They have other institutions. I can't speak for every country, but essentially they would certainly not be inhibited in terms of informing people and making various kinds of institutional access available, especially to young people. I could talk about my last book, The Internet Generation, and some very interesting examples from other countries I've been to, including Norway, Sweden, Finland, and so on, in terms of how to inform young people about politics. In fact, if we do have a bit of extra time, I'd love to tell you about it because it's really quite interesting. It's not directly relevant to this but it's very interesting, and it's something that a version of which we could actually do at both the provincial and federal levels. Specifically, of course—this brings me back to my last point—one of the things we could learn is to change our electoral system. I've argued and written about how I think a proportional system does in fact result over time in a more informed citizenry. It's a long academic argument based on evidence and so on, but I have made it in the past, and I think it can be made. If one is interested in a citizenry that—again, none of these things are absolute and black and white—is more likely to inform themselves about relevant issues before an election, I would argue that we can learn from these countries. Most European countries, as you know, have proportional representation, as does New Zealand now, and Australia has it for the upper chamber. There is a relationship, but again, that's not the issue of importance at this committee. No, and that's fine. I appreciate that. You and I may have a few differences on that when it comes to the representation part. Nevertheless, on a broader scale, I remember that when I was here and we were debating the Fair Elections Act, what came up quite a bit was the fact that it is a constitutional right to vote, which I'm sure it is in many other countries. As such, it seemed to me that other countries take it far more seriously than we did at that time, France being one of those countries. Do you think now that we are a step closer with this? What would you recommend in terms of how we go further? At this point, I think, in adopting Bill C-76, adding things like political debates and so on is what I would recommend. I would think, though, that we shouldn't say the issue is closed especially on the political knowledge side. I think there are things we could do. One of the problems.... I shouldn't call it a problem. The situation in Canada, which is not the case in the other countries we've mentioned, is that we have two different levels of government, and education is at the provincial level. In those other countries, linking political knowledge to the educational system through civic education is done through the same people who are concerned about national elections and so on. Taylor Gunn, who was here an hour ago would certainly have talked about all of this. Yes. I don't think they face any inhibiting factors when they go into the provincial systems, per se, and do elections. Well, that was my question, sir. My goodness, you're smarter than I ever realized. I don't have much time left, but perhaps you want to comment on that part. One of the things, in addition to that, is to allow Elections Canada to have more freedom to go beyond just telling people where and when to vote, which was the contentious issue. We also have the fact that we're allowing people between the ages of 16 and 18 to register to vote—or is it 14 now? Nevertheless, they can register to vote. Do you see how Elections Canada can do more on the education aspect now that in Bill C-76 they have the freedom we just talked about? Well, if they go back to doing what they were doing when I was sort of a consultant, and so on, that's already a major step. Because of the federal system, you can't have Elections Canada doing what the department of education in the province does in terms of the curriculum for high school students. Yes, they can provide information that the students would have access to, but I'm talking about the curriculum at a certain age, of 16-year-olds, in a public school system. The kind of information they'll be getting is really up to the provinces. Some do a better job than others, but that's the nature of Canada. I'd be happy to tell you what other countries do, but at this point I won't go there. Now we'll go to Mr. Reid. I'm starting my little timer here. Is the first round seven minutes? Okay. You're aware, of course, that the political debates commission, which it sounds like you favour, is not actually part of this piece of legislation. This bill does not contain anything about a political leaders debates commission. You're quite correct. I was suggesting that this was the one thing that was missing. Mr. Nathan Cullen: And the CCF. Mr. Scott Reid: —that's right—then the one at the cut-off line, in this case likely Ms. May, goes off to court and says that it's an unconstitutional violation. I still think there's a risk of that occurring. If it's government-sponsored, with government funds, the rule generally is that the charter applies when the government was involved in setting something up, even if those who executed it are not the direct agents of the government. I think this is the advantage of having these things done informally; i.e., the Charter of Rights does not apply to Maclean's magazine or CTV or whoever. Anyway, seeing as I've gone down that road, why don't you provide your thoughts on a debates commission, and in particular that problem of someone who effectively is an agent of government deciding who gets in and who doesn't get in? Who gets into the debate? Prof. Henry Milner: I haven't really thought about it very much, but my general principle is that it's not a good idea to have it debated in the last minute before an election campaign, because then the rules will be based on the particular situation at that time. It would be better to debate it when there's no election campaign. Then you try to set up general rules that apply beyond the particular situation and create some kind of commission, a neutral commission or commissioner, with the role of implementing those rules. Just as a general principle, I think that's a better idea. I don't think we do a terrible job in Canada, but we're always left uncertain until the last moment in terms of how many debates, what the rules are, and who will be in the debate. I don't think that's a good way to do it. I think we can do better. That is messy, I grant you. Let me give you another example of a mess. Ontario is about to have an election. We don't know who will wind up being the new government. We could imagine a very tidy election scenario, like, say the People's Republic of China or the people's democratic republic of North Korea, where we'll know exactly who is going to win beforehand. I'm just saying that untidiness is sort of inherent in democracy. I want to submit to you, as a counter-proposition, the idea that norms grow culturally in a messy way, but they do emerge. As to what is a reasonable set of debates, what kinds of topics they ought be on, whether there should be specialized topic debates, what the ratio of English and French languages ought to be, length of interventions and so on.... I would submit it's better to have them emerge organically and be generally accepted in society. If it's felt that it's too restrictive, there will be pressure on someone to create a new debate beyond the ones that already exist. It actually did happen in the last election. Does that not seem like a robust solution that we really haven't given a great chance to develop, given the fact that last time around we could see some new formatting springing up that had never previously happened? Again, I don't want to talk about the specifics. My general position in these areas, and it comes from knowing a lot of what goes on in other countries, is that the clearer the rules in advance, the better the situation overall. That's why I favour fixed election dates. Everybody—the potential candidates, the media, the people who are going to knock on doors, voters—knows when the next election is going to be and they have to prepare themselves accordingly. It's not just the strategy of political parties and so on. It's the wider political culture. I would apply that the same way, in terms of debates. There are certain things that are understood to be taken for granted. That's my general principle. We can talk about the particular cases and so on. You brought up the issue of electoral reform. You appeared before the Special Committee on Electoral Reform on which I sat. I very much enjoyed your testimony there. Since that time, there's been some water under the bridge, both at the federal level and in the two provinces that are perennial experimenters in this matter, those being British Columbia and Prince Edward Island. They have taken somewhat different approaches to how to deal with it in the upcoming period of time. I would be interested in your comments on the two paths that the two provinces are taking. I ask this particularly, because this issue could conceivably recur following the next election at the federal level. It's good to get some input in advance. Let me add that you should include Quebec. All the parties, except for the Liberals, in Quebec are now in favour of electoral reform. It's part of their platform going into the October 1 election. Although it's not like B.C. where there will be a referendum already, and that referendum—if the “yes” side wins—will start the process. These other parties in Quebec are all committed to come forth with a proportional representation proposal within a year, if they are the government . They're pretty much agreed on the components of this proposal, which is one of the three proposals that will be posed in British Columbia. You may know that it hasn't yet been accepted by the British Columbia legislature, but it's been proposed by the attorney general. I think it's a good proposal, namely, that the first vote will be on principle and if there's a majority for the first vote...in other words, proportional representation versus first past the post. If proportional representation wins more than half, then there are three versions of it, and the voters will choose between the three. That's the model New Zealand used 25 years ago. The model New Zealand or Scotland used.... I prefer the Scottish variant, but they're very similar. That's the one that has been agreed upon in Quebec by the other parties, with the exception of the ruling Liberals. I know less about what's happening in Prince Edward Island. I guess they're still waiting for the premier to set up the mechanism by which there will be a referendum, but I think something will happen there as well. I appreciate your being back, Professor Milner, and your continued optimism sprinkled with a dose of skepticism. I've been at this for a long time. Some of us have too, but not maybe quite as long. I want to talk a bit about process because I think it's as important as the substance of the bill. Just on principle we had a tradition in Canada of one party not changing the rules of the game, if you will, unilaterally, or invoking closure until the unfair elections act came. Is my history correct? It depends on which laws you consider procedural laws and so on. Voting-related.... I think generally that's true. I'm not a political historian so I could be wrong. In general that was accepted. We couldn't find an instance. Maybe you could, but I don't know of any. It's similar to what Mr. Conacher was testifying earlier that the unilateral appointment of any watchdog makes the job of the watchdog more difficult. Because they have to play the referee, and you never want them to have even the taint or anything that it was only one sided. I think that's the problem with American institutions. That's right. We look to the south and we see that all the time: the judges under suspicion, the rules, the gerrymandering that goes on. We've avoided some of that in Canada until recently. A concern you said at the beginning of your testimony is the strange instance in which government lawyers will be arguing in favour of the unfair elections act next week in Toronto. They're only obligated to do that because the government didn't move Bill C-33, which they introduced a year and a half ago. If that bill had been moved a year and a half ago would you still be in court and would we be spending taxpayer money arguing against what the government has said? You asked hadn't that been taken care of already. Your response was that was already fixed. I thought it was on its way to being fixed. I do other things in my research so I wasn't paying that much attention. As you're a political scientist, when changing the rules that affect all the parties and Canadian democracy, is it a good principle to have multi or at least bipartisan support for legislation? Let me establish that first principle. On vouching on third party rules on those types of things. We're under the gun, as you know. Elections Canada has told us already that they can't implement all of C-76 if we were to pass it tomorrow. Does that cause you any concern? I would hope...I don't know how parliamentary procedure operates, but it should be possible. Probably not. As I said here I am in a court case defending a position I've taken against the government that's changed its position toward mine. There should be some way of speeding up those things that Elections Canada says it needs a lot of time to implement, unless somebody is opposed to them. That's what I'm saying, but if you can divide the law in some way, or divide the passage.... I don't know. I'm not a parliamentary procedure person. So take aspects of the bill. If that's possible. This is your area, not mine. Ideally there should be a way of moving quickly on those parts that Elections Canada needs more time to pass, where there is no principled opposition, which I'm not hearing yet. I cannot tell you how to do that. This is a more empirical question. How do young Canadians rank? Do you do research and rank them globally in terms of their political knowledge? How do folks in this country stack up? Not very well. What does “not very well” mean? If you take all democracies.... I haven't received very recent numbers, and perhaps they're better, but when I was researching this, we were down at the bottom, not quite as bad as the Americans, but certainly not nearly as good as the Europeans, the British, and the Australians. Not quite as bad as the folks who elected Trump, but not nearly at the range of more functioning democracies. Right. It's not that easy to do testing where, since institutions are different, you have to give a certain amount of leeway. Overall, among countries—as I said, all democracies—it's clear that Americans are lower in terms of basic political knowledge. What percentage of the people eligible to vote have the minimal knowledge to vote? That's the sort of question we ask in our comparative research. We ask it for the overall, and then we ask it for young people. To circle back, if knowledge, education, and engagement were a high priority for the government, one of the most effective tools of doing that was total reform. No, it doesn't happen in one election, but over the course of time, you want a more engaged and more educated voter, particularly young voters. It's not the only factor, but it could have a positive effect. I have made that argument, and I still make that argument. It's one of the arguments I've made in Quebec. You'll make it in court next week, maybe. If I could just add, I think you're going to find the result in Ontario will, in fact, be an impetus for electoral reform. I think very strongly. Thank you, Professor Milner. It's nice to see you again. I was on the Special Committee on Electoral Reform, and we got to meet there. We had you in a few times. You had great testimony then, and of course your work is very valuable to this committee. It may be hard to believe from a reasonable man like yourself, but there are parties that are interested in not having this legislation move forward as quicky as possible; hence, the worry that we won't be able to get it done for your court procedure, but I really hope that we do. It won't be in time for next week, no, that's for sure. I hope there are ways you don't have to.... It's not the final...? I don't know the legal process. As far as I know, it would make no sense. If the court, in fact, throws out the Fair Elections Act, which personally I don't think that the constitutional argument is that strong.... I think it was a bad law, but the argument that it's unconstitutional—and I'm not a lawyer—I think is hard to make, so I don't think that would happen. Even if it did happen, it wouldn't change anything, really, because this process would continue. From time to time, I know you would understand there are parties that are interested in voter suppression and not necessarily bringing out everyone who's eligible to vote. In the United States, I would make that as a clear statement. There have been real efforts to do just that. We did have a case in Guelph where there were robocalls giving people the wrong information, leading them to not vote when they were eligible. At least at the local level we've seen that. I don't want to make an accusation at the national level. You have made some statements in the past about increasing voter turnout. A lot of your studies have been done about increasing voter turnout when it comes to youth. Also, you've made statements that the ability of Canadians to vote was restricted in this last Fair Elections Act to five years if they were abroad. Can I get more of your thoughts on that and why removing that restriction is a good thing? I wasn't very strong on that particular aspect before, and I looked around to see what other countries were doing. On balance, I would like it to be a bit longer, but the numbers, I don't think, would be significantly affected, so I wouldn't slow down the bill to try to amend that, for example. We've removed the restriction, so now when you're abroad.... This bill removes it. What does it replace it with? Is that right? Then I misread the bill. At this point, a Canadian can...and not return at any point in the interval? Is that really the case? Can I get your views on that? That is more like the American way, right? Yes, but remember, the Americans have to pay taxes. They can never have lived in the United States—and I can give you examples of that—and still pay taxes. Maybe that's going too far. Again, it's not something you'd worry about right away, but I think it's worth thinking about. I don't know of other countries, apart from the United States.... There probably are some. I think the French are like that. The basic idea is that you live your whole life out of the country, but this is still your identity. Do we think that? That's a cultural issue, right? Or wouldn't we say, no, your new identity is the country you live in, even though technically you still have Canadian citizenship? I would say there should be a point where you have to decide. Do you think we should be concerned about flocks of people who are living abroad wanting to vote in order to influence an election? Again, that's the nice thing about being Canadian. We don't take the division over politics so seriously, as certain neighbours tend to do. Politics become such a powerful, emotional division that you can imagine a manipulation of external.... In fact, some effort is made to get democrats abroad or republicans abroad. That's fairly healthy as long as it's fair. I don't worry about that, especially for Canadians. Within the Canadian federal system? Yes, within the current system. Again, I think more effort should be made on civic education. For those of us who are active provincially, that's really the primary focus. That's where I would put the main focus. It's not here. Here the work of Elections Canada is very important. We're too many people to think we can bring.... In Norway, for example, something like one-third of high school students are brought to Parliament during ages 14 to 16 to participate in a kind of simulation. It's an interesting exercise, but numerically, we're better off doing that at the provincial level, where the numbers are.... There are examples of this in other countries. I think the work of Taylor Gunn, which again, is around elections, makes a difference, and I think the Canadian government is still supporting this. This bill has increased the ability of Elections Canada to do outreach. Are you supportive of that? It was very hard for me to understand why one would be opposed to that. It's like being opposed to motherhood, at some level. Which these days might be politically incorrect to say. I'll move to Mr. Nater. Again, thank you, Dr. Milner, for joining us. I really appreciate your commentary. I want to go back to your opening comments. You mentioned a book you wrote entitled The Internet Generation, referring to young people. As you know, Mr. Gunn was here prior. One of the last questions he commented on—I don't think you were in the room for it—was about the use of tabulators or online voting. CIVIX has resisted the urge to move to online voting. They use the traditional paper ballot with an x. From your research, do you have a similar view on the traditional paper ballot? Do you have some thoughts on using tabulators or online voting, as we've seen in the past in a variety of voting instances, whether at the municipal level or at party leadership races? Yes, and by the way, this relates to that. The question was why are young people voting less. Part of it—that's why I called it The Internet Generation—has to do with sources of information. Civic education becomes more important for the Internet generation because the standard sources of political information that we could count on for previous generations just aren't there. For some people, the Internet is a fantastic source of political information, but for most young people, it's a wonderful way of avoiding political information—not consciously—but that's in fact what happens. I have written about voting at 16. I have written about compulsory voting. I haven't really done very much on electronic voting. I'm still a bit skeptical as we don't have any real data to show that it improves the turnout. I'm not saying it might not be there, but we don't have enough, and I think the act of physically voting itself has a positive effect. You're voting with your neighbours. I know we have a lot of other ways of avoiding that, in terms of early voting and so on, and we should do that; we should have other ways to vote for people who cannot for one reason or another go out and vote on voting day. I don't know, I'd hope that's not the case, but I can't say. For me, though, I think there's a positive element to that and I would be reluctant to eliminate it until I had a lot better evidence to justify it. I've been present at elections in other countries and I've seen the same thing. There is something about that, but I don't know how representative a member of Parliament is of the other people of your age group. Yes, I would agree with that. I know from campaigning and going door to door in 2015, there was often that question, especially in my rural communities. They typically vote by mail or online as a lot of the municipalities do, so the question came up, “Well, can I vote online and not by mail?” There is that perception, and not just among younger people either. That's a question from the older people. Can I have another quick question? You had mentioned some concern about that. The other thing was the intention to return to Canada. Currently, there's that intention to want.... Is that something you would have a concern with as well? Yes, I don't like that sort of.... Why ask people something where you're giving them an incentive not to tell the truth? I don't see any particular value in that. I think that should be related to coming back. I do think if somebody doesn't come back for x number of years, whatever intention they expressed probably doesn't make all that much difference. Again, this is not an area I have done research on or am particularly knowledgeable about. I'm giving you a personal opinion, which is no better than anybody else's. We have time for one question. Thank you, Professor Milner, for your presence today, and for your passion and all the work you've put into this area, and for sharing your expertise with us. One of my concerns, and something that I'd really like to see improve, is young people voting and engaging in the democratic process. I'd like to ask you about the research you've done with respect to the finding that if students do not vote as soon as they reach voting age that this will impact their voting pattern as they get older. I think you've indicated that if they don't vote when they reach voting age, they won't vote when they get older, and they're more likely to follow that pattern. It's not my research, but there are researchers. The best known is a man named Mark Franklin, an American but a comparative expert. He's made that argument, and I think convincingly, that not voting in the first election or the first couple of elections—not everybody, clearly a minority—but it has an effect on reducing voting later on. There's a habit aspect to voting, just as there is to many things. Yes, you vote sometimes because of what's happening then. Suddenly there's an issue that really matters to you and so on, or a particular political leader you like or dislike, but there's also the habit aspect. You know an election is coming up, and you vote. To develop a habit makes a difference. Mark's argument, which I share to some extent, is that the way to do that better is to start voting at 16 because young people are more likely to be around other people who are voting, namely their family, because they're still living at home. I'm not persuaded completely of that. That's why I put a lot of emphasis on civic education at the age of 14, 15, 16, which I would connect with voting at 16. If you have a good system of civic education—because I think you should vote knowledgeably, not just because your mother is going to the polls, and you're joining her even though you don't know who the parties are.... It's the combination of the two. In Norway, for example, they've done some tests, and they found that it really doesn't seem to make very much difference whether you vote at 16 or whether your first vote is at 18, but that's because they have a very strong civic education program already. That's why I'm a bit more reluctant to say that voting at 16 will get a higher turnout. I'd say voting at 16 and civic education, a good civic education program like in Norway or in other countries will get long-term improvement. That would be my argument. My time is up, is it not? Because I could go on if you want me to. I do have more questions. Thank you very much. You were very helpful. We'll suspend while we change witnesses. Welcome back to the 110th meeting of the Standing Committee on Procedure and House Affairs. I have some business to attend to and then we will have the final panel. We will be joined by Lori Turnbull, associate professor, Dalhousie University, and Randall Emery, executive director of Canadian Citizens Rights Council. 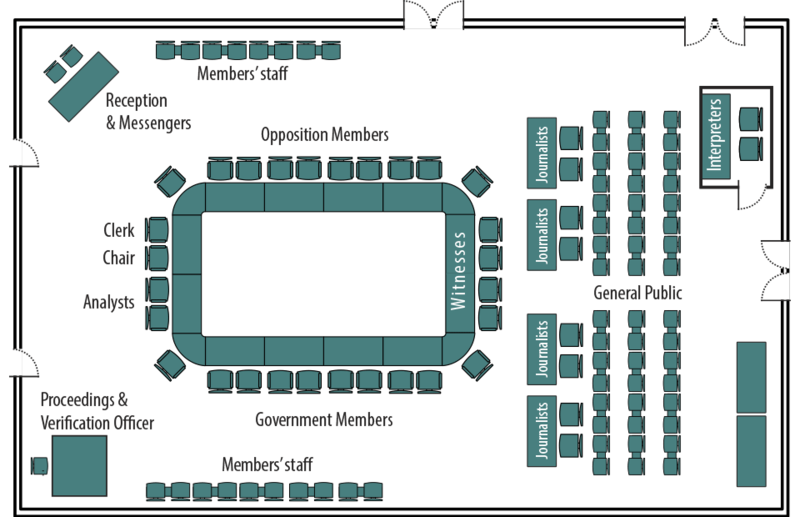 As you know all PMB votes are on Wednesdays and tomorrow, there will be a bunch of votes right after QP, so I would ask the committee if it's okay—I can't imagine why it wouldn't be—if we move the witnesses from the first hour after question period to later in the evening, because there are enough blanks to fit them in later in the day. What you're asking is that rather than have six hours, we have five hours. Yes. There is enough room. You just fit all the witnesses into five hours rather than six. That's what you're saying. There are enough blank spots to do that. What would Wednesday afternoon look like? We can start at, let's say, 4:30. Start at 4:30 through until what time are you suggesting? It would be until 9:30 as we'd originally planned. When will we have an idea of who our witnesses will be? Did you put out the notice yet? No, but after this meeting I can go back to the office, and we could publish the notice for tomorrow's meeting with the information that we have now, and as we get more information, we'll update it. Mr. Cullen, did you have a quick point? Yes. Just in talking, as we look forward, it's tricky as we're trying to build this witness list as we go, but my understanding is both Facebook and Twitter have declined to appear. We've been talking a lot about social media and this information and the use of it during campaigns. I'd like the committee to compel.... They have government relations people who work here in Ottawa. It's not as if we're asking them to travel. They've been showing up to a lot of committees, because—ethics and information and others. I think it's inexcusable. We're dealing with this conversation, and the two social media giants are refusing to come. Is it okay with the committee members that we compel those...? This ought to be in the form of a motion. Yes. In terms of the structure of the motion, I defer to the clerk as to what it would look like. I think it's through the chair. If I understand correctly, the committee's wish is to summon representatives of both Facebook and Twitter to appear. Normally when we summon there would be a specific date and time that's tied to the summons because we will hire a bailiff to contact them. Understood. It won't come to that, I'm sure. The last committee hearing we have as of right now for witnesses is when? What's our last available date? Is it Monday? Is it Tuesday? Our last program for witnesses right now is Thursday afternoon, but it doesn't mean we can't do something after that. Yes. This is a second conversation I was just talking with Andy about . We had a notion of a plan, but this committee is not operating under any deadline right now officially, so at some point we're going to have to have that conversation because, for example, we have a witness we'd like to come. When is the actual deadline for them to appear? I don't know. I think the compelling would be good. I don't know what date to put on it because I don't know what date this committee is done with witnesses because we haven't had that conversation. I apologize to our witnesses, by the way. I'll just see if we have unanimous consent to do whatever procedure we need to make those people come. In the next hour I can prepare the text with the clerk if we want something formal. I was looking first at the expression of the will of the committee that we want to hear from these two witnesses. I get that sense in terms of the details of how we summon. I'll work on a deadline date. We'll work out the details. It might be advisable to fill the blanks in after with regard to the date but to leave the clerk the job of doing that. We'd want to look at some past form and make sure we've followed that form. Yes, we've done this before. Okay, thank you very much. We'll go to the witnesses. Thank you very much for the invitation to appear before the procedure and House affairs committee on Bill C-76. Before I get into the bill, I'll make some general comments about political finance regulation in Canada. We've been regulating spending and contributions for candidates, parties, and third parties in some form or another since 1974. Every once in a while, the rules get reviewed or reconsidered in light of new realities with respect to democracy, elections, political culture, and things like that. At the heart of all these debates about political finance are some fundamental questions about democracy and political expression. It's always a balancing act between freedom of expression and the public interest, and maintaining a level playing field for political competitors. Neither of these is pursued by regulation to the complete detriment of the other: we need the balance, and that's where the charter comes in. The charter protects that. It's been the norm historically, in connection with the charter, for political finance laws to end up in court, and there's been some very thoughtful jurisprudence on the role of the state in regulating money in politics. The terrain is shifting now, however, and I would say that money is no longer a reliable proxy for political expression. It used to be that debates and paid prime-time ads were the way to reach people, but now—and in connection with Mr. Cullen's comments—it's Twitter, Facebook, clickbait, Instagram, and micro-targeted email messages. This type of political expression poses a completely new regulatory challenge because, for the most part, it is low cost or free. Talking about spending limits and contribution limits is a little bit offside. Spending limits only get to part of the issue, and, I would suggest, an increasingly smaller part as we go on. Nevertheless, here we are on Bill C-76. The theme is modernization. Democracy is changing for many reasons, and the law needs to catch up. The bill, as members are aware, covers a lot of ground. Some major areas of concentration, like establishing pre-writ spending limits for parties and third parties, aren't a huge surprise. We've seen this in Ontario. Given the constant campaign, campaigning all the time, imposing limits only once the writ is dropped is seen as arbitrary. The bill limits the writ period to 50 days. It increases transparency around the activities of third parties in a few ways: by requiring third parties to identify themselves in political advertising; by requiring them to keep separate bank accounts to allow their political activity to be seen a bit more clearly when you open up the books; and including things like polling in the expenditures that are limited, which is not the case now. It's an area where third parties are now able to spend in a way that's unlimited, but political parties are not. Also, there are measures to make voting more accessible, including the creation of a register of future electors. I have a couple of comments on what the bill doesn't do. Third parties can still take unlimited donations from organizations, while political parties and candidates cannot. For over a decade now, contributions coming to candidates and parties from organizations, as opposed to individuals, have not been allowed. This creates an unbalanced playing field and perhaps creates an incentive for wealthier people or organizations to make unlimited donations to third parties. The issue of foreign money is very tough to regulate, and largely because third parties are often doing many things. They're not just political actors, and they're not just contesting elections. They're also doing charitable work, advocacy work, educational work, and working with partners in other countries. So it's very difficult to impose particular rules during the campaign period or for election spending by third parties. You used to be able to take foreign money for some things, but now for this purpose, during this time, you can't. It's very difficult to police. On some level you don't want to go too far with it because then you're choking off funds used for other purposes, and we want organizations to be able to do those things, presumably. It comes down to how to regulate third party spending and activity that relates to elections. Many observers have expressed concern over the possibility of foreign involvement in Canadian elections. We have to work on that. We have to be able to make Canadians feel that it's not going to be a problem, and that we are aware of what foreign influence could look like. Again, I think this relates significantly to issues of digital democracy, cybersecurity. Regulating money is not really going far enough and it's not really getting at what people's major concerns are. I'll leave it there and allow my colleague to speak. I'm the executive director of the Canadian Citizens Rights Council, which brings together organizational and individual members to invest in a vision of a renewed Canada leading the world in citizens' rights and freedoms. Our comments today centre on universal voting rights. Bill C-76 does the right thing by restoring full federal voting rights to Canadian citizens abroad. Canadians support this universal right. We urge you to preserve these provisions in the bill and support a timely and fair implementation. First of all, supporting the right to vote from abroad is the right thing to do. It's the right thing to do because doing nothing harms Canadians. Canadian history has been marked by a steady progression towards universal voting rights, beginning with the enfranchisement of women, then racialized minorities and people who don't own property, Inuit, first nations peoples, federal judges, people with mental disabilities, people with no fixed address, and lastly, prisoners, yet the current five-year rule at issue before the Supreme Court of Canada denies at least one million citizens the right to vote and sends a clear message of exclusion. These are not hobby voters. Canadians abroad are subject to tax laws, criminal laws, foreign anti-corruption laws, and special economic measures, and they benefit from the right of entry to Canada from foreign soil, Canada pension benefits, citizenship laws, and immigration laws. Moreover, it's the right thing to do because Canadians abroad benefit Canada. Canadians living and working abroad are directly and indirectly responsible for billions of dollars in bilateral trade. They are exceptionally well educated, linguistically adept, and culturally bilingual. They are our cultural and economic ambassadors. The more we as a country engage them, the more Canada will prosper. Second, Canadians get this. Over time, Canadians maintain an overwhelming connectedness to Canada, but less so to their home province or municipality. Correspondingly, in 2011, the Environics Institute found that 69% of Canadians thought Canadians abroad should vote in federal elections. This bill strongly aligns with public opinion. Finally, we ask you to support enfranchising provisions in this bill and to support a timely and fair implementation. When amendments are offered at clause-by-clause consideration, we ask members of this committee to preserve enfranchising language as is, without amendments that would limit the population of eligible voters. We also ask you to support a timely and fair implementation. Recognizing Elections Canada's time constraints, we urge swift passage of this bill. We also urge members to avoid new identification or other requirements that have been demonstrated to reduce turnout elsewhere. This is a historic opportunity to let all Canadians vote. It's the right thing to do, and Canadians support it. We applaud the enfranchising provisions of this bill and urge their preservation and timely implementation. Thank you. I welcome any questions you might have. Thank you both very much for appearing here today. We will go on to some questions, starting with Mr. Simms. Dr. Turnbull, thank you for coming here today. I have just one broad, general question to begin with. I notice your book that you co-authored with Mr. Aucoin and Mr. Jarvis, Democratizing the Constitution. Are we a step towards democratizing the Constitution in Bill C-76? Oh, that's a great question. Thank you. Sorry. You could probably do a dissertation on it, I understand, but we have only seven minutes, please. In some ways, the answer is yes, because the bill gets to some things that we have to get to. In some ways, too, you're always fighting the last battle a bit, so the bill is looking at some realities that have taken place and we have to catch up to it. There are things in the bill that are quite necessary and probably not too hard to achieve some consensus on. Personally, I wish it went farther in a few areas, but I try not to be too negative about that stuff. Take progress where it is. You don't want to be too rainy day about it. No, God forbid I'd be all Pollyannaish about it, sitting here on this side of the House. Let me just drift away from that for a moment. We are now in the process of possibly making some amendments, despite the fact that we have accepted the principle and scope of the bill, but fine-tuning is always a wonderful thing. You raised concern about how we make Canadians feel secure, when perhaps just regulating the money is not enough. Am I getting that correct? Where in that lies the opportunity for us to make improvements? I think many Canadians are not relying on traditional forms, or what we might consider traditional forms, of political communication to receive their messages. Even the conversation about how we do the leaders debate is fine, but that's not where a lot of people are getting their messages. Some people are watching the debates, but you're talking about how to get younger voters engaged, and they're not watching the debates. They're on Twitter. They're looking at social media, and they're getting a whole lot of information. Also, I think there's an increasing fear of fake news—the fear that you're getting a whole lot of stuff coming at you and you're not sure if it's true, and there being so much information coming at you at one time. We're losing something on the verification side. It's just tons of messages, and a lot of it is very micro-targeted. This has to do with the communications technology as well, because now we're able to be so sophisticated about knowing voters, knowing their profiles, and being able to deliver to them the kinds of messages they really want. On several levels that's good, responsive, and positive, but it's almost as if a bunch of people are getting different messages and there's not the same centralization of messaging that I think we could say we used to see in a campaign. If I could just interrupt you for a second—and I apologize—several years ago the CRTC had a policy where they would lay out regulating of the Internet in the way they would regulate the broadcasting spectrum, especially content. How do we do that? As you say, they're micro-aiming at a particular person who would be susceptible to their view and wouldn't bother to seek out the contrary view. Where does one start? It's a difficult role for the government—and I mean the government in a big sense there, because you don't want state regulation of communication. You don't want the government to come in and say, “That's fake; you're not allowed to say that.” However, on some level we need something. I don't know a ton about what people are doing in other countries, but in the U.K., the information commissioner has taken a bit of a role there. That's interesting. Can you give me an example of that? That was my big example—the information commissioner in the U.K.
—obviously not in a partisan way but in a controlled, objective way. Mr. Emery, my colleague here to my right made a comment earlier about what was being said about those living abroad, that a citizen is a citizen. Did I get that right, David? The Constitution states that a citizen has a right to vote. Therefore, in your particular situation—and I'm sure that's kind of music to your ears—are there certain limitations based on who is living abroad that should be there? I think this should really be an unlimited right. Currently, Canadians abroad are the only subset of the Canadian population who are unable to vote. We have to remember that the majority of these Canadians can't vote where they are. There are also the practical implications. I know of people who have sought out their MPs in the ridings they used to live in to talk about this issue and who got the message back, saying, “I don't know if I'm your MP, because you can't vote here.” They didn't have anyone to talk to. They don't have anyone to go to for help if there's some issue with the program. I think it is very important and very fundamental that everyone should have the right to vote. Thank you very much, both of you. It was very nice. Thank you. I appreciate your both being here. Professor Turnbull, I'll start with you. In the article you wrote for The Globe and Mail back in March, there were some interesting comments about third parties. You talked about, and you mentioned a little bit today as well, what you call “preferential treatment” under the Elections Act. They're able to access types of donations that the other participants in the elections, the political parties themselves, aren't able to access, for example, union and corporate donations. You mentioned about the lack of donation limits. I wonder if you could give us a bit more detail on that. What I specifically want to know is whether you're suggesting the same donation limits for third parties as you are for political parties. Would you suggest that would only occur during the writ and pre-writ periods, or would you suggest that's something that should occur outside of those periods as well? Would you then be arguing that those third parties should only be receiving contributions from individuals? Actually, that's really fantastic. You've just said everything, so I can just say “yes”. Okay. Well, that was easy. But I'll say a couple more things. For the purposes of elections and election spending, I would argue that if we want to make things level and we want to level out the playing field, we would look at the same process for third parties as political actors, as we do for everybody else. Therefore, individuals are able to make election contributions to all political actors at the same limit. I had realized that the regulatory problem is how you compartmentalize the election activity of a third party and separate it out from the rest of their activity. For some organizations, it might be more clear-cut than others. There are some where they maintain an educational and advocacy function on an ongoing basis. Does that automatically mean that once the pre-writ period kicks in, everything they do is election advertising? I think there would then be an imperative to try to protect what the organization does as part of its ordinary functions, but then try to pull it into a more regulated sphere once the writ is dropped. To clarify regarding the idea of the contribution limits, are you suggesting that we would look at and treat various types of third parties differently, or are you suggesting we would have contribution limits on any third party that would participate in elections? Ms. Lori Turnbull: Yes, any that are registered. Mr. Blake Richards: That would not just be throughout the writ period, or this newly created pre-writ period, but I'm talking about the other three years and eight months, or whatever it is. If it were during the writ and pre-writ, I'd be happy. I think that would be enough of a way to make a substantive difference to levelling that playing field, which is what I want to achieve. You would argue for expanding a little beyond what it is then. With fixed election dates, what about that scenario? If everyone knows the deadline and I want to drop in $1 million, and this $1,500 limit is going to exist tomorrow, I'll drop the $1 million in today. How do we fix the problem in that scenario? In that case, I agree with your logic entirely. To me, any time you say, “Here's the drop” or “Here's the start time for the limits,” on some level it's arbitrary, because we're campaigning all the time. I can see there being a different formula applied to third parties, because their behaviour is not necessarily campaigning all the time in the same way that a political entity does. However, I take your point: what stops the millionaire from dropping the money in the day before, especially when we have the fixed election dates, when you know it's coming and you can plan it? That's also the issue with foreign donations. There's nothing wrong with a third party accepting foreign donations, as long as they're not used for election purposes. It's the same thing. If you have that drop and it's prior to the regulated period, that's just part of the funds that are in the organization's bank account. Those are your own funds, and you can use them. I guess what you're saying is you're not really sure you've got a suggestion on how we would regulate that, but if there was a way to do it you would be in favour of it. Is that fair? I'd be happy if for political contributions that are kept in a separate bank account, like the bill is advocating, those limits applied all the time. I fear that's not going to survive a court challenge. I'm willing to accept a kind of lesser scenario. Understood. What you're saying is it's accepting what you think is possible maybe rather than what you think is desirable. To clarify then, those caps you're suggesting during the writ and pre-writ periods, because you're not sure how we would find a way to regulate outside of that, would they apply only to individuals or would you allow the $1,575 it is currently to come to a third party from other entities other than individuals? The way to level the playing field is to have only individuals be able to donate for election purposes. Now we'll go on to Mr. Cullen. There's an interest in my party, and I personally support the interest, in undoing some of the aspects of the Fair Elections Act, the vouching, some of the prescriptions on expat voting, and some of the other things by which, whether they were by intention or not, I think the effect was voter suppression for some Canadians who maybe weren't as supportive of the government in theory or in practice. Yet I think, Ms. Turnbull, Professor Turnbull, Dr. Turnbull, which do you prefer? Do you care? There's the fixation on money, and it's not bad to have a fixation on money because they say money in politics is like water on the sidewalk, it finds its way in through all the cracks, and it's one aspect, but to not have the other aspect of political influence gained without a lot of money, would you say that's doing half the job, 90% of the job, 10% of the job, in terms of trying to have a clear connection between those seeking to affect elections and the voters understanding and having free and fair elections in who they choose or propose? If the goal is that a voter goes in with the best information, and not the—what was it?—mis-, dis-, and mal-information, as one of our witnesses said.... I thought that was a good summation. If the goal is to make sure that between the voter and those running for office there's a clear line of information and anyone providing information in that conversation is identified and is not of foreign influence or a malevolent nature, money is one aspect of it. These are people funding certain sides of a debate, funding certain candidates illegally or through surreptitious means. Another side of the debate is the tools now, which were unimagined 20 years ago, the influence of social media. If we just take care of the money side of things and try to limit foreign influence, foreign money coming in, as much as we can, without doing the other side, which is how easy it is to spread mis-, dis-, and mal-information through social media, how much of the task of that goal are we actually accomplishing? I would say half, maybe less. If we're trying to fight the next war, rather than the last one, if this is the trend, I would imagine the power of social media to connect to voters, to inform or misinform voters, is likely only to go up. Is that fair? I'm having a hard time articulating questions today. I'll give you a scenario. If an organization has a $2-million budget, normally, an operational budget, and they get an extra $1-million donation from the United States, Russia, it doesn't matter, and they displace their core budget and spend all of their $2 million now on elections or to the prescribed limit, $1.5 million, it's essentially using through a loophole foreign money to advocate a position. I don't see under Bill C-76 how we'd catch that scenario. Do you follow? Should we be trying to? —yes, you can't start dividing it up. That would be impossible. Returning to Mr. Richard's question, if we did regulate contributions all the time, and you have your roughly maximum $1,700 a year and that goes into your election advertising account, and you don't have organizations donate, that would be a way of making sure, I think, that you don't have commingling. Sorry, run the scenario for me. The Canadian Chamber of Commerce, or Leadnow, or any of the participants who may hire door knockers or do political advertising, which are now all included, what would they do exactly? Prior to the next election, what would they do? They would only be able to take election contributions from individuals at the same maximum that applies to parties, put them in their election account, and that's what you have. In order to be a participant in the election, if you're going to choose to register yourself, you would essentially not make yourself a political party, but you would assume the same restriction that a political party has. I wondered about this. If you want to play in this game, if you want to be in this conversation, should you have the same limits and restrictions and accountability that all of us as political parties have who are participating in the conversation? The Liberal Party, the NDP, the Conservatives couldn't simply commingle money and say none of that's foreign, that it's just for rent and hydro at party offices. This is Canadian money that we're spending on it. We couldn't do that. Elections Canada would hammer us. But third party groups can. Is that our understanding? We're not going to be able to make that change prior to 2019. Even if this committee agreed and Parliament agreed to that, this bill has been introduced so late. I'm very interested in what you just said just in terms of levelling the playing field and having transparency for Canadians. The advertisements they're seeing, the door knocker who they're hearing on the doorstep, have only been solicited by Canadian interests. Mr. Emery, I heard your sense of urgency: get this done. I think you said “swift passage”. Wouldn't that have been great 18 months ago, in Bill C-33? If you were a government and you said a Canadian is a Canadian is a Canadian, for example, and that they should be allowed to vote, and this was important to you, and you introduced the bill 18 months ago and then did nothing, what are you telling the expat community? Well, certainly the expat community would have welcomed that to move forward. We are where we are. We hope that Bill C-76 moves. Sorry, Chair. I was talking too long. To follow up on Mr. Cullen's theme, I'm interested as well. Perhaps, Professor Turnbull, you may or may not be the right witness to ask in terms of the charter issues with respect to the proposal. Has there been an issue on the speech side of things or would you perceive there to be a reasonable limit on freedom of speech because political parties are under those same requirements as well? Third parties have always had a slightly different.... Within that balancing act between freedom of expression on one side and the public interest and a level playing field on the other, that's a balancing act that Parliament and the court, I would say, have had a kind of dialogue about to try to preserve. Within that, there is a microcosm where there's a separate, related balancing act for third parties because they're trying to do different things. I don't know whether a court would look at an organization that plays an advocacy and educational role all the time, something like Leadnow, and say, “What would come to Leadnow that wouldn't be considered an election contribution?” I'm just picking that off the top of my head. You could make an argument that there is an educational advocacy function that has many benefits and they're not just trying to affect the outcome of an election. I could see third parties saying, hold on, we don't want to have that blanket contribution limit applied to us all the time because that's going to cut into the activities that we do that seem to be a little like election activities but aren't really. I can see a few more trips to court to try to really narrow down that difference and figure out where that line is. I can understand the application to an organization like Leadnow, but what about an environmental organization? They say they're saving wetlands, but then they also have an advocacy function. Can they accept the $100,000 donation to save the wetland, but it's...? If your goal is to influence government, you have to parse the definition of election and political advertising in such a way that there's still a possibility for third party organizations to receive contributions and do the work they do to lobby government on particular bills, but then carve out a special area that is particularly for election advertising. Mr. Emery, I noticed something regarding one of the founding members of your council—and I'm going to butcher his name—Nicolas Duchastel de Montrouge. Nicolas Duchastel de Montrouge, yes. He was denied his right to vote while living in the United States, but he could present himself as a candidate in the federal election. How does that work? Yes, that's right. It just shows a bias in the system, which is geared more towards people running for office than for people actually voting. That was his intention in running; he wanted to bring attention to that. Yes, he ran for office, but he couldn't vote for himself. I understand he ran as an independent in Calgary in the last election. That's an interesting story. In terms of those two charter rights—the ability to vote and the ability to run for office—there really shouldn't be a hierarchy. I'll ask both of you that question:. Should there be a hierarchy between those two rights? Shouldn't they be similar in terms of one's access to that? The ability to run in different ridings goes back in Canadian history, right to the beginning. I forget which prime minister it was who ran in the east and lost, and then ran in Quebec, and finally was elected somewhere to the west. These are two basic fundamental rights of expression and of accountability, and they should be open to every citizen. Professor Turnbull, would you like to add anything? I would concur. It seems illogical for there to be that difference. Professor Turnbull, back in 2014, you were one of 450 professors who signed an open letter to describe the Fair Elections Act as an irremediably flawed bill that should be completely rewritten. Do you believe that Bill C-76, if passed, will undo what was done in the Fair Elections Act? You pointed out in that letter that the right to vote is enshrined in the charter as a fundamental part of society. I know you've suggested it hasn't gone far enough, and we've gone into some of the things, but can you comment on the changes in Bill C-76 and how it is protecting or preserving that charter right to vote? Yes. There are two major answers that I'd give for that. One is that to be able to make contributions is a fundamental part of political expression. This is why I'm particularly in favour of making sure that only individuals can make contributions. I think it's an extension of our activity as individuals and as people who participate in a democratic society. Sometimes political finance kind of gets a bad name, and we try to limit it as much as possible to the point sometimes where we're going against what we're trying to do to begin with. In that way, preserving a right to make contributions is incredibly important with regard to political expression. The other is that I think the bill makes important advances towards accessibility, and that's fundamentally important. With respect to the issue of cybersecurity, many Canadians are still concerned about moving to electronic voting and online voting because of the possible breaches that could occur and result in election results that don't have integrity. I completely understand, and we have to make sure that things are secure. I would also echo Professor Milner's comments about voting being a community exercise and about voting with your neighbours. I understand, and I feel the same way. However, there are many Canadians for whom elections are not accessible in the way that we do them now. It is really no longer possible for us to ignore that, not that we ever really could, but we really have to fix this. We have to get much closer to a full meaning of accessibility, and I think the bill moves us in the right direction on that. That's not my area of expertise, so I'm not going to say it's perfect, but I think we're going in the right direction, yes. In answer to the question about which prime minister lost in the east and then ran for a seat in the west, Sir John A. Macdonald lost in Kingston, which even in those days was not a reliable Conservative seat. He ran on Vancouver Island, which he never actually visited, but he won. An hon. member: Is that right? Mr. Scott Reid: Yes, that's true. Sir Wilfrid Laurier lost in Quebec and ran in Saskatchewan. Again, I don't think he actually visited his riding. Mackenzie King also wound up being a Saskatchewan MP at one point. Those are the ones I know of. There may have been others. Anyway, it has happened. I want to ask Mr. Emery a question with regard to the issue of Canadians being abroad, out of the country, for more than five years and their voting rights. It is a charter right, under section 3 of the charter, to vote. Do you regard that as an absolute right, as opposed to a right on which reasonable restrictions that are “justified in a free and democratic society” can be imposed? Of course, I'm using the language of section 1 of the charter, which is the section that allows for some limitations to be placed on other parts of the charter. That's the question before the Supreme Court at this moment. My own opinion is that it's an absolute right, and that's shared within the organization that I'm here representing. That's one of the those questions that has to have a yes or no answer. There can be a justification for the yes or the no. If you say that, yes, it's an absolute right, then let me ask you this question about the supposedly highly principled position being taken by the government in this bill. They say that if you're a Canadian citizen, the right pertains to you as a Canadian citizen, not as a Canadian citizen who is a former resident of Canada. If you've been out of Canada for more than five years.... I have some friends who live in Australia, in Adelaide, who've been out of Canada since the late 1990s. This would apply to them. Their children are also citizens of Canada, although they haven't lived here. Their absolute right to vote in elections is being denied by this law. Does that not mean, therefore, that this is also, to the extent that it neglects the rights of these Canadian citizens, an unconstitutional failure on the part of the government? They're citizens of Canada who have never lived in Canada, because their parents are Canadian, and this bill does not address their right to vote. Yes, because you have to come back and live in Canada. Maybe we would have to have the system that they use in France and Italy of having constituencies that represent overseas people. I would contend that it's probably unconstitutional in Canada to have a seat that is not considered part of a province or territory, but you could, one assumes, come up with some kind of system whereby you say that their parents' last place of declared residence is regarded as their place of residence or something like that. I think a workaround that is constitutional could, in principle, be found. Perhaps. We support this bill because it takes care of the vast majority of Canadians abroad. Are you sure it's the vast majority of Canadians abroad? For people who have left Canada and are living outside of Canada, who have been there for more than five years, as opposed to those who are children of people in that situation, are you sure it's the majority? I'm not sure. I'm genuinely not sure. I have no idea. We have to remember that there have been, since back in 2009, limits on citizenship by descent. I concur, but that's a separate thing. If you are a citizen, you have a right, full stop. Thank you. I was putting you in an unfair spot. It wasn't to poke holes in you; it was to poke holes in the argument that this is a highly principled as opposed to pragmatic measure, which has been the way the government has been marketing this side of things. I think it's a pragmatic move, a perfectly defensible pragmatic move, but it is not the point of high principle that it is being marketed as being. That was the point of questioning that way. Professor Turnbull, my first question will be for you. It's clarification on something you stated earlier in your testimony today. Clearly with social media, we're in a whole new world with how people communicate and the ability to communicate. You mentioned different people receiving different messages. I want to be clear. Do you have a problem with different people receiving messages that are pertinent to them or is it just the accuracy of those messages that you're commenting on? For example, if we had someone who was a youth, so a party wanted to give parts of their platform that were related to youth, do you have any problem with that targeting or is it just with inaccuracies in what's being communicated? I'm more concerned with potential inaccuracies, but I think there's also a concern overall with micro-targeted messaging. I think historically in Canada, political parties, particularly successful ones, have played a nation-building role and have provided messages and ideologies, perspectives that you sort of put it out there and people unite around it and seek commonality. It's no surprise that political parties would, especially now that we have the technology, become more responsive to individual voters or prospective voters or prospective supporters. I think it could potentially come at a cost if political parties—and not just to put it all on political parties but third parties, too—are using that sophisticated messaging to tailor. It's a responsiveness that can be seen as positive, but we're not necessarily spending enough time building those big messages and big ideas that everybody can come to. With respect to this bill and the voter information card and the vouching, as well as the commissioner's enhanced ability to enforce the Canada Elections Act, can you talk about those three points and how you feel about them in Bill C-76? It was the vouching, the voter information card, and the commissioner's ability to enforce. Previously you've gone on record as having concerns with respect to the Fair Elections Act. Some of those things you've talked about. You had concerns with respect to the lack of vouching and the taking away of the VIC. How important is this to you in this legislation? It's important to the extent that it increases accessibility and ensures that voters are able to participate. It provides an opportunity for people who want to vote and who are legitimate voters to vote. In that way, I think it serves an important purpose. Mr. Emery, with respect to the third party spending limitations, would you consider your organization a third party? Would it fall under that? If so, how would you be impacted by this legislation? I'm not certain that we would be, because we're not engaged in anything related to political campaigns. I would be concerned on the foreign influence piece that Canadian citizens are always free to be part of the process. That's what we would like to see in any legislation pertaining to foreign money. There are certainly legitimate concerns to be accounted for, but we would want to make sure that there would be something to say that a Canadian citizen is always free to be part of the process. I'm not aware of anything contrary to that, but that's what we would hope to see protected. Professor Turnbull, we just spoke about accessibility. My focus now is on a question for Mr. Emery. There are provisions in here that I am proud of with respect to enhancing access for people with disabilities. Included in that is the expansion of the definition of what disability means beyond physical disability. Can you speak to the importance of the provisions that you see in the bill and how you feel about their inclusion in Bill C-76? The biggest benefit that we see out of this bill is that it would eliminate one remaining instance in law where different citizens have different rights. That's very important to us, not just as individuals, to strengthen the Canadian community as a whole. Second, it would clearly establish an MP who is accountable for every citizen. As I mentioned before, there are instances now where citizens look for help, and they don't know where to go. I would say those are the two key benefits of this bill. Thank you very much for coming. We certainly appreciate your being here and your wise counsel. It's been very helpful. Mr. Cullen, I understand you have wording now. I have it under good advice from the clerk and others. The issue of the summons is pretty dramatic, and I want to be careful with it. We've had these groups testify before, and we've heard from just about every witness we've had so far that social media has an important role, so it is not casual that we're doing this on two important witnesses. Some language that was offered I think is helpful to sort of do it in two stages. One is to invite again, essentially. We're sitting tonight, and if we don't hear a response, then we'll be more forceful tonight. The motion would read, “That the clerk invite representatives from Facebook to appear before the committee on either June 6 or June 7, and if they fail to respond by 6:30 p.m. today, Kevin Chan from Facebook and Michelle Austin from Twitter be summoned to appear on” and then we can specify date and time tonight. Did I not say that? “Facebook and Twitter to appear before the committee on either June 6 or June 7”. I find that timeline a bit tight. I would say it's reasonable to give them 24 hours. I'm aware of the problem that we have, that it's June 5, but the choice of June 6 and June 7 is a deadline that was imposed on a basis for which Twitter or Facebook or anybody else can scarcely be blamed. It's the government's haste to get things through. If I saw this at the receiving end, I would genuinely think that's unreasonable. In all fairness, we have to contact them. It is now a little past 1:00 p.m., and 6:30 is after business hours. I have no idea what people in this industry work, probably crazy hours. You know what I'm getting at. I'd say to give them 24 hours. That's a reasonable thing. If I may suggest, it's reasonable to ask them to appear June 6, June 7, or sometime next week. Could I respond quickly to that, Chair? I know that Ruby will want to get in on it too. I take Mr. Reid's point, though. I don't want to be unreasonable or aggressive about it. I want to be assertive about it. Mr. Scott Reid: That's fine. Just as a quick point of order, while we're having this discussion, can we release the witnesses? This witness is really enjoying it. You must leave. I have another motion here that says you must leave. Mr. Nathan Cullen: Thanks, David. That was my only point on Scott's point. The challenge is that if we say 24 hours, then I don't know how long this committee is sitting and hearing witnesses. I honestly don't. We're trying to talk about it, but we had a motion the government prepared.... Everyone is kind of operating under the assumption that's what's going to happen at this committee, but technically and reasonably, this committee doesn't have that timeline at hand. If we wait 24 hours, we invite, and they say that they'd be happy to come next week but we don't have hearings next week, then I'm in a bind as a committee member in wanting to hear from these witnesses. There are other committee members who want to hear from them too. That's why there is a certain urgency to it, but again, I don't know what our timeline is here, because none of us do. I think my point is on the record. According to what Nathan has just proposed, I think I'd like to propose an amendment or an addition to your motion, so that we could have that guidance as to where we're ending and when we're starting our amendments and the clause-by-clause study. I think what Mr. Reid has said is reasonable. We could have Facebook and Twitter in by Monday, have amendments in for Tuesday, and then start our clause-by-clause study by Wednesday. That's before our clause-by-clause study, right? Mr. Chris Bittle: —Twitter and Facebook. They've all been invited. We have empty slots. We could do social media and the minister on Monday, and then proceed as Ruby suggested. —and go with clause-by-clause by Tuesday. Amendments would be submitted Tuesday and clause-by-clause started on Wednesday. That's the proposal. Thank you. [Inaudible—Editor] should then come up until Monday? Yes, and of course I worried about this, because the proposal now gets into the proposal that I suspect—but I don't know—committee members might want to talk about, which is actually now a proposal to finish the study of the bill. Now what you're proposing is not just the Twitter, Facebook, and minister thing. It's the whole kit and caboodle. Mr. Blake Richards: Point of order. The 24-hour thing would be voluntary and not subpoenaed, right? Ms. Ruby Sahota: By Monday. Is it in order for....? I don't know the answer to this question. That's why I'm asking. We're talking about something and Mr. Cullen is talking about inviting and/or potentially compelling some witnesses. The amendment is to talk about the length of the study, to talk about when amendments would be.... To me, it doesn't seem like it's in the context of.... It doesn't seem like an amendment to that. It's a totally different subject matter. Mr. Scott Reid: It's outside the scope. Mr. Blake Richards: I wouldn't see that as an acceptable amendment to that motion. Therefore, we should probably just look at Mr. Cullen's situation and then the other thing. If the government chooses to make a motion of some other nature, then that's their right, I suppose. However, I will also point out at this point in time—while I'm on a point of order, I'll make a second point of order—that we are past the time of the meeting. If we were dealing with something where we could deal with it quickly...but we're starting to talk now about when amendments would be due, witnesses, and all these other things. That's probably a lot longer conversation. Would that be something we'd be better off to schedule to have...I don't know when. However, the point is first of all, that I don't think the amendments are actually in order, and second, what are the thoughts on timing here? Would the committee be okay if we just dealt with this particular motion on these two witnesses separately? It's a point of order and I'm asking the chair to make a ruling. It's an amendment I want to bring, so I don't want to take it off the table. Well, I'm pointing out that I believe the amendment is out of order and I'm asking the chair to make a ruling. [Inaudible—Editor] communicate with each other, because everything we say is not going to affect it. I feel the amendments—if you add all the schedule and everything—are outside the scope of the original motion. You can alter the time, but the others should be dealt with separately. Okay, so I could bring a separate motion. Can I ask you this? Within this motion, can there be a final date as to when witnesses are called, which should be Monday because we're bringing this witness in on the end of the witness list? It's still beyond the scope of this motion. What I'd say is again, the intention is what the intention is. I want social media to appear before us because I think it's critical in informing amendments that we might make to this bill. We have to get to the conversation that Ruby also started, which is with respect to how we're handling the rest of this time. I'd suggest we have, as soon as possible—I don't know if there's time this afternoon to carve that out.... If there's some way that we could at least issue a notice to Facebook and Twitter saying we're headed down a path where we request again that you attend and there's that subpoena coming. I don't want to totally have the two enmeshed, as much as that may end up being what's happening here. We have to have those conversations. It doesn't matter whether I agree with the chair, but yes, we started to expand the scope too much. That could be either the Thursday or Monday next week, depending on what the committee decides on the calendar. I know that's not a very clear motion, but I'm trying to keep the intentions. Nathan, it sounds clear to me. If we were to word it as a motion, it sounds like what you said was that representatives of the relevant organizations be invited forthwith, and that if—let's say—by noon tomorrow, they have not responded affirmatively, then a summons be issued for the named individuals—you have the names there—and that the date on the request for them to appear would be Thursday, I assume, at the time of their choosing. You'll give that scope within those hours or a time that is worked out with the clerk. Yes, I think we'd just say we have our committee set for Thursday morning. Something like that, full stop. That's what I would suggest. We'll tweet them our subpoena. Anyway, that's what I would suggest. Does that give you wording that's satisfactory? The committee has agreed to that. The Chair: Yes, Mr. Fillmore. Chair, we're going to support what Mr. Cullen has said, but I was just going to remind the committee that we had agreement that we'd cease hearing witnesses on Thursday. That was from the 10th report of the Subcommittee on Agenda and Procedure, which was concurred in. We said we would finish hearing from witnesses on Thursday. Just as a reminder, I think we've already taken care of the witnesses. We're going to make an exception to that now. I would like to ask that when we reconvene this evening, we forthwith address Ruby's remaining elements. Is that for committee business? Okay. How do you want to fit that committee business in this afternoon or this evening? Hold on a minute, Mr. Chair. Are we not dealing with Mr. Cullen's motion right now? We've already agreed to it. It's adopted? Okay, I misunderstood. Can we see the witnesses first, up front, and then do committee business? That way, just in case we go a little over, we don't have witnesses waiting. I hate when that happens. Do you want me to read out the list of witnesses? From 3:30 to 4:30 this afternoon we have the Canadian Federation of Students and the Communications Security Establishment. From 4:30 to 5:30 we have the Privacy Commissioner and the Canadian Forces. From 5:30 to 6:30 we have Ian Lee from Carleton University, and Arthur Hamilton from the Conservative Party of Canada. That's the one you want to cut out. Mr. Nathan Cullen: No, no. That's not what I meant. The Privacy Commissioner is clearly important. The Canadian Forces are important. The very last panel is important as well, but if we have to borrow 15 minutes of time, I don't want to take that from the Privacy Commissioner. We could go after 8:30 for a bit. A voice: You mean 6:30. The Chair: Oh yes, 6:30. That's fine. One way or another we'll deal with that after the witnesses.